An inflatable outdoor display is a great advertising method that many companies use for outdoor events such as music festivals, trade shows, and sporting events. 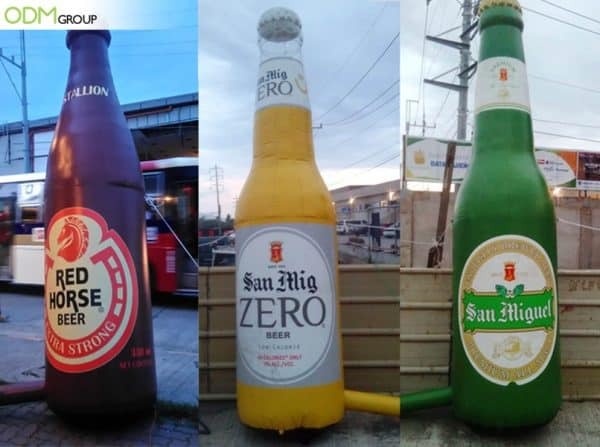 One of the brands that had success in using inflatable outdoor displays is San Miguel Pale Pilsen. 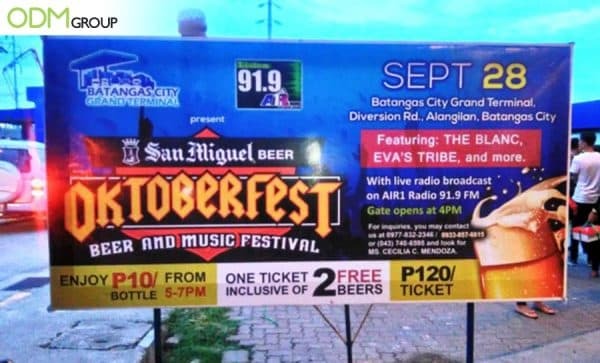 This year’s Oktoberfest saw a large crowd of beer and music lovers. But the event would not be complete without their massive custom inflatable bottles. Event organizers had set up their inflatables outside of the venue where people can easily see them. 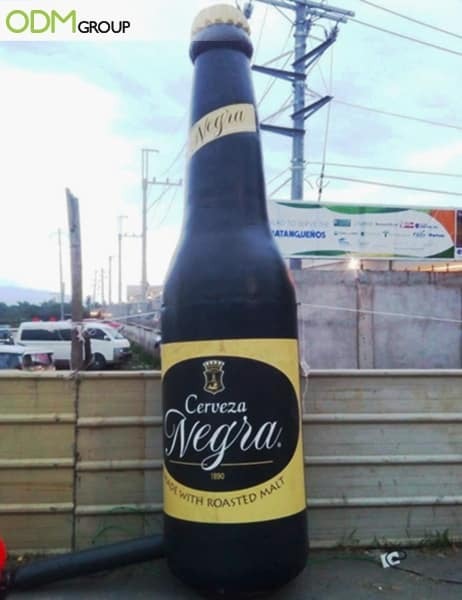 You’ll see that all the bottles are huge replicas of their beer products. Also, weeks before the event, they had set up a banner to inform people of the concert. Practical: Manufacturing inflatables does not require huge marketing budget. And with something that can withstand rain and heat, you can be sure that your campaign will have a longer lasting impact to customers. Easy to Set Up: We like a good inflatable outdoor display because it is easy to set up. This helps event organizers in many ways. It saves time and energy, allowing them to focus on more important aspects of the campaign. Cost-effective: Proper maintenance ensures the longevity of the outdoor displays. Production and set up are relatively cost-effective. So if you need one for your campaign, feel free to contact our product designers at Mindsparkz. We can help you from designing, sourcing, and manufacturing f outdoor inflatable display, drinks promo gifts, beer merchandise, and more! This inflatable wine bottle display in France is a fantastic advertising idea for marketing drinks. Liquor drinks brands love inflatables because they are effective in retaining customer interest and attracting the crowds.